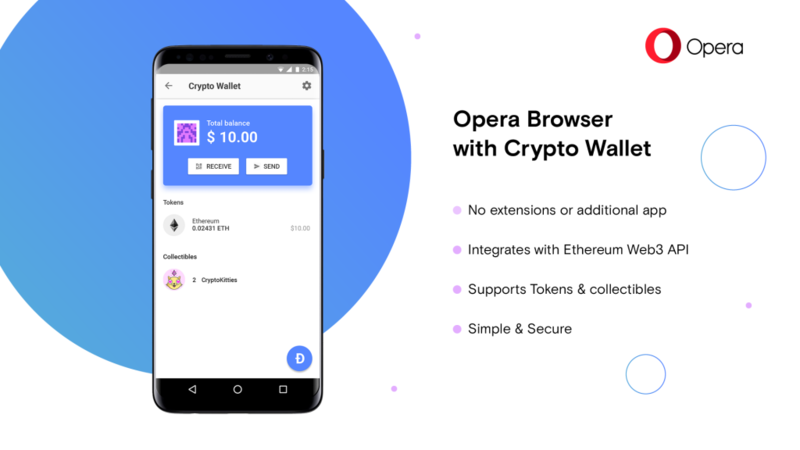 Today, we are introducing Opera with Crypto Wallet. 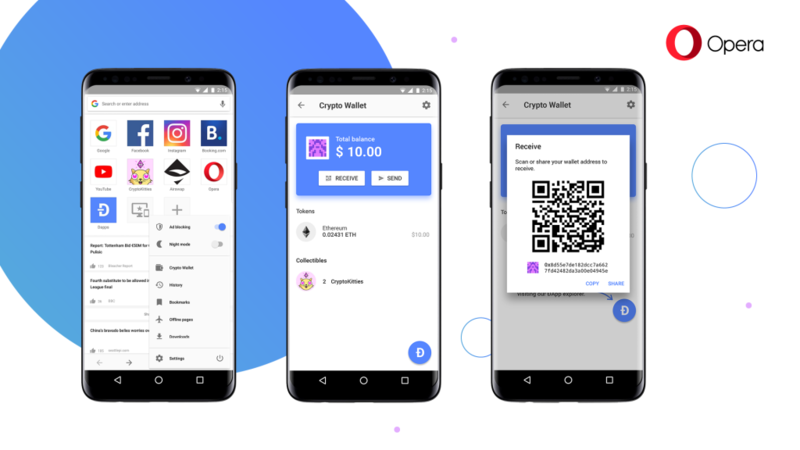 The new version of the Opera browser, currently available in a private beta on Android, combines easy-to-use crypto wallet functionality with support for Ethereum decentralized apps, or Dapps. This means users can now interact with Web 3.0 using our popular and fully-featured Opera mobile browser. 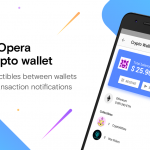 It also makes Opera the first major browser to introduce a built-in crypto wallet. Needless to say, we are pretty excited about this. The past 18 months have brought tremendous activity and new ideas around cryptocurrencies, tokens, decentralized apps and how they all play a role in the vision for Web 3.0. More and more developers are interested in building apps that use cryptocurrencies and want to use decentralized networks for some of their app’s functionality. Unfortunately, there are currently many challenges to reach wider adoption. These barriers range from users’ understanding of new terminology, to difficulties in acquiring cryptocurrency and to complicated installation procedures. People are more likely to adopt new solutions if they are user-friendly and seamless and this is what we are aiming to solve. We are hoping that by integrating Web 3 alongside the current web will make the technology more mainstream. In order to create a good, future-proof Web 3.0 browser, one must start with a great browser, and this is exactly what we’ve done. 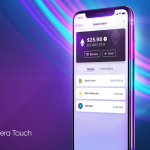 We took Opera, a full-featured, standards-compliant and Chromium-based browser and integrated crypto wallet functionality into it. This is only possible thanks to Opera’s long experience in making browsers for all kinds of devices and platforms. Existing Dapp browsers have to, instead, rely on a default WebView system component for their browsing functionality, which has many technical limitations and drawbacks and makes them less user-friendly. Users can now use Opera to access these emerging Dapps. We’ve decided to support Ethereum, as it has the largest community of developers building Dapps and has gathered a lot of momentum behind it. Opera with Crypto Wallet supports the Ethereum Web3 API, making interacting with these Dapps seamless to the user. We plan on extending our wallet to support more cryptocurrencies and networks in the future. Although the current selection of merchants accepting cryptocurrencies is very limited, we think cryptocurrency payments will become more popular in the near future, as crypto wallets become easier to use and understand. Just so we’re clear: this is a user-controlled wallet, which means that the keys controlling the funds and assets are on the user’s phone and nowhere else. Privacy is a very important aspect for browsers in general, but even more so for crypto wallet users. Our aim was to create a user-controlled crypto wallet that provides enhanced control and security of the keys which are used to control the wallet’s funds. Existing Dapp browsers and extensions unfortunately expose uniquely identifiable wallet information to all sites visited, raising risks of tracking or phishing attacks. Our wallet instead asks a user’s permission for each site requesting wallet information before exposing it, similar to how existing web permissions work (geolocation, camera or file system access, for example). This is again made possible by building a crypto wallet on an existing, full-featured browser. If you’ve spent any time reading crypto-related news lately, chances are you’ve heard of CryptoKitties. What may seem to be a silly internet game at first actually introduces the innovative concept of unique tokens/collectibles. Collectibles are digital, unique “assets” you can truly own on a public blockchain. We believe this will have big implications for online gaming and digital marketplaces and will grow in use in the near future. We’ve made sure Opera is the coziest den wallet for all of your digital cats, so don’t hesitate to make the move, they will love it :). And if you’re wondering, we will be adding support for more ERC721 Collectibles in the coming releases. On top of that we also support all ERC20-type tokens, which are automatically added to your wallet’s home screen. Check out AirSwap in our DApp Explorer if you are interested in trading these tokens. 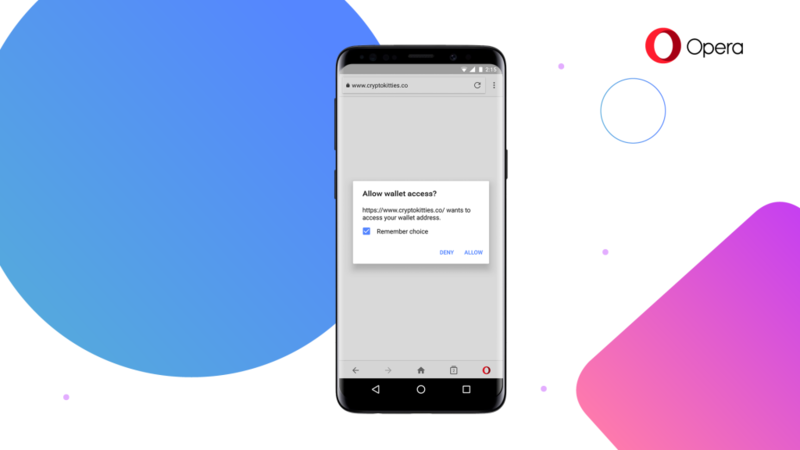 By introducing Opera with Crypto Wallet, we are dramatically reducing the complexity for users to try out this new exciting Web. From a developer’s point of view, this makes your life easier as you can focus on building your Dapp or service and can have confidence that users will be able to reach it easily without having to go through a complex installation and onboarding process outside of your control. 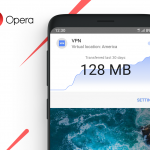 Opera was an early supporter of Progressive Web Apps (PWA), a set of web technologies allowing developers to create web apps that feel like native apps and can appear on the user’s home screen. Developing an app for the web has many advantages for both users and developers, from having no installation process, instant updates and using much less of the precious storage space on modern phones. Such apps are also more accessible, as anyone with a web browser can access them. Many of the top web services, such as Instagram, Twitter and Google Photos, have adopted these technologies and have created very successful PWAs. 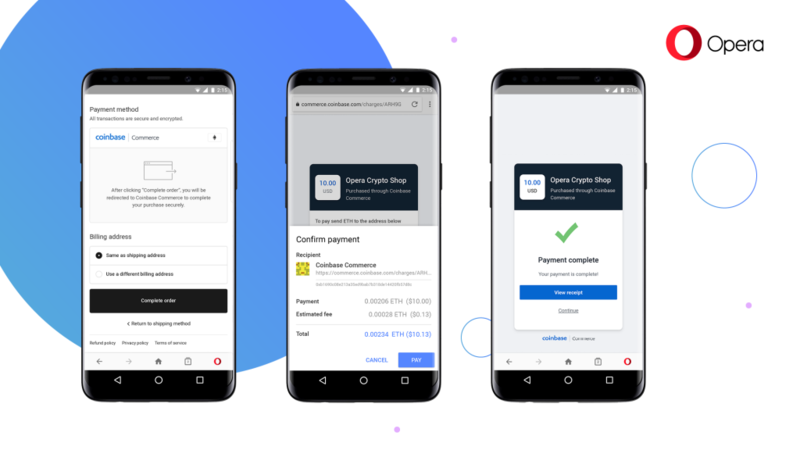 By allowing PWAs to use the Opera Crypto Wallet, we are now taking PWA support to the next level. This means that Dapp developers can now create native-like Dapps without having to embed a wallet on their own or relying on an external wallet app. Dapps can now be first class citizens on mobile! We’re launching Opera with Crypto Wallet today as a private beta to get feedback from early adopters and developers alike to help us improve it even more before we release this to a wider audience. If you’d like to test it, simply go to opera.com/crypto to request an invite. You will need to provide a Google or G Suite email account (the account you use for Google Play). Once installed, simply tap on the red O logo in the bottom right and select Crypto Wallet to get started. You can then choose to create a new wallet or import an existing one using a standard 12-word backup phrase. Finally, simply tap the blue Dapp button to start exploring Dapps using the wallet functionality. This is our first step towards making cryptocurrencies and Web 3.0 mainstream. We hope you give Opera a try and let us know what you think. Find out more and join the private beta testing at opera.com/crypto.